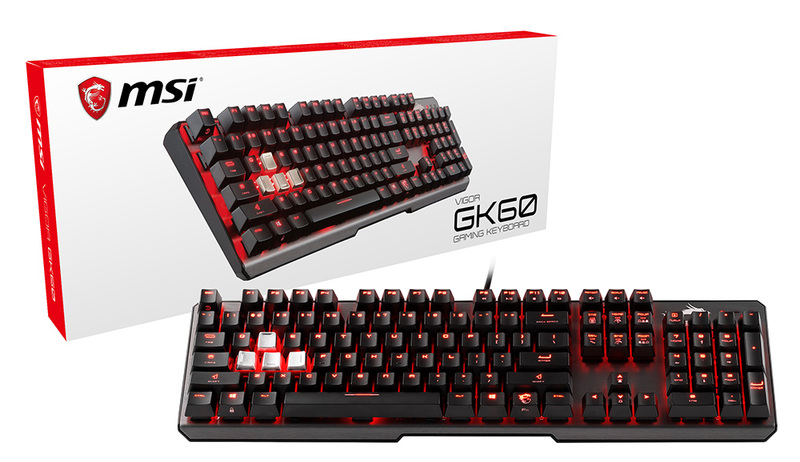 MSI has added to its ever-growing range of peripherals with the new Vigor GK60 gaming keyboard. 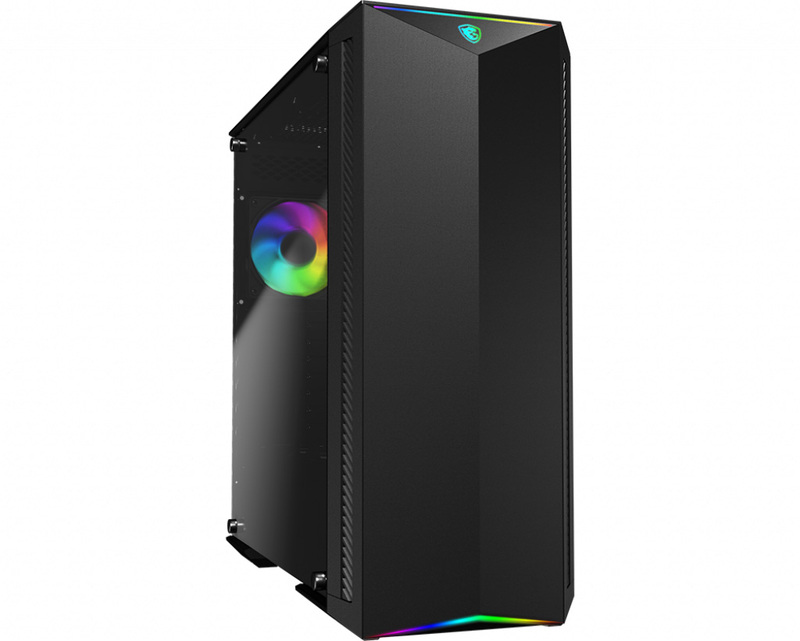 CES 2019 also marks the unveiling of its Norse mythology inspired GUNGNIR 100 chassis aimed at gamers looking to add some RGB sparkle to their system. MSI's new GUNGNIR 100 case is named after the Norse God Odin's legendary spear and looks to wield plenty of RGB LED lighting. The GUNGNIR 100 allows users to install motherboards up to E-ATX and is 510 x 227 x 525mm (DxWxH) in size; it also weighs 9.3 Kg. The weight is likely a consequence of MSI opting to use a 4 mm thick tempered glass side panel. 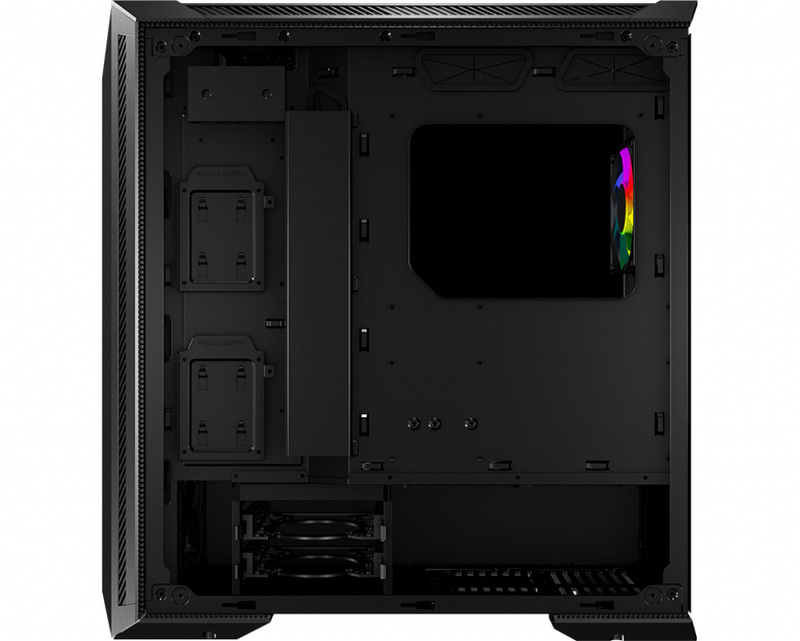 Users looking for cooling options will be happy to know the GUNGNIR 100 has an ample cooling layout internally with space for three 140/0 mm fans in the front, three 0 mm or two 0 mm fans in the top, a single 140/0 mm in the rear and comes pre-installed with three 0 mm RGB fans. On the front panel IO, MSI has included two USB 3.0 ports but given that this is 2019, there is no mention or scope of USB 3.1 Gen2 or even front panel Type-C connectivity available. The current availability and pricing are unknown as of yet, but we expect MSI to unveil these details shortly. The new MSI Vigor GK60 gaming keyboard uses Cherry MX Red mechanical switches which is a linear switch and has an actuation force of 45 cN. Surrounding the keys is an aluminium frame and key count is dependant on which region and language are purchased; 104, 105 and 109 key variants for reference. The MSI Vigor GK60 has red LED backlighting underneath the keys and offers users a variety of customizable lighting effects from steady, wave and horizon, all the way to radar and reactive. These can be customized through the MSI Gaming Center application but it should be noted that the Vigor GK60 does not support RGB. Supplied with the Vigor GK60 gaming keyboard is a two metre long USB cable and comes pre-installed with four metal WASD keycaps. This includes a keycap puller to allow users to install their own. As it stands there is no information available in regards to pricing and availability, but the MSI Vigor GK60 is expected to hit retail channels shortly.